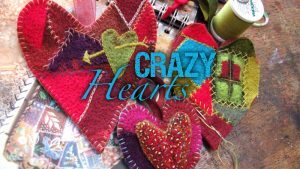 Join Linda in this video to see how she uses her embellishing machine to create a crazy heart from scraps. 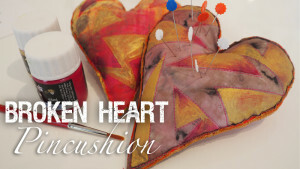 This is a perfect way to make something beautiful from tiny pieces of felt and a few nice embroidery threads. Linda likes Madeira Lana wool/acrylic thread for preference but the technique suits all kinds of embroidery thread. You might enjoy adding some decorative beads too – more is more in this case! The hearts are lovely as gifts or simply as beautiful objects to display in your own home. 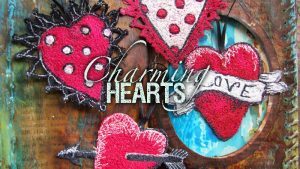 In this video Laura has great fun making free machine embroidered heart shaped charms. She’s based her designs on funky tattoo motifs so these have a little ‘edge’ and would be a perfect gift for a teenager! In the video she will show you how to use a soluble stabiliser, how to transfer a design to the stabiliser and how to machine stitch the embroidery. 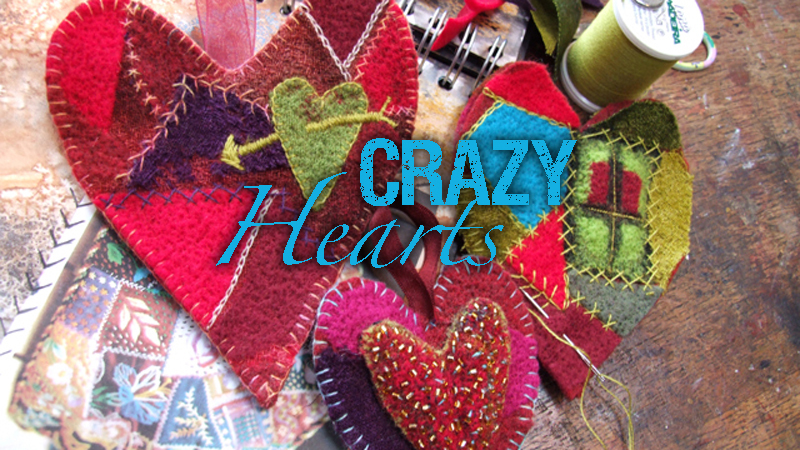 You’ll discover how to make decorative edges, attach a hanging ribbon and to create pattern. Finally she’ll explain how to dissolve the stabiliser from your finished charm. Make a pincushion with simple quilting and fabric painting.